Kiwiji is creating Digital Art, Prints, Egg Pillow Plushies! My name is Jia and I’m an artist that loves creating digital illustrations. The more colourful the better! 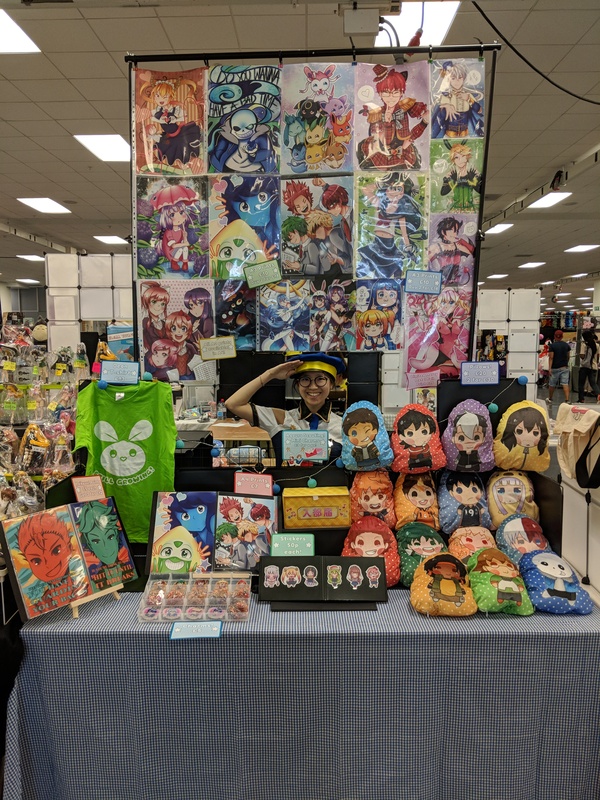 I’m currently a full time art hobo living in my hometown of Malaysia and on the side I attend conventions in the UK selling my art. Making Pillow Plushies is one of my favourite things to do! And I want to integrate my Patreon to making more of my favourite kind of merch! With as little as $1 a month you get to access to WIPs and get to vote on characters you want me to turn into an Egg Plushie! Every Month there will be a battle ballot of voting characters, face off with other patrons and vote for YOUR FAVOURITE character to win FIRST PLACE! The First Place winner of each month will be turned into a delightful Egg Plushie, the second place winner will be turned into a lovely Egg A6 Print and the third place winner will be turned into an adorable little Egg Sticker. Egg Club Members ($15+) will get all the physical rewards sent to their home monthly! Drown in the eggy goodness! Participate in polls for The Egg Plush Club! A special role on Discord! Shoutouts in my Youtube Videos! Each Month I will create an ‘Egg’ Pillow Plush based on the votes of all of you! Club members will receive a monthly Plush of the most popular character, an A6 Egg Print of the Second Most Popular Character and a sticker of the third most popular character! These rewards will be sent to your home! A starting milestone, I can't really think about anything, to reach this milestone would be amazing!